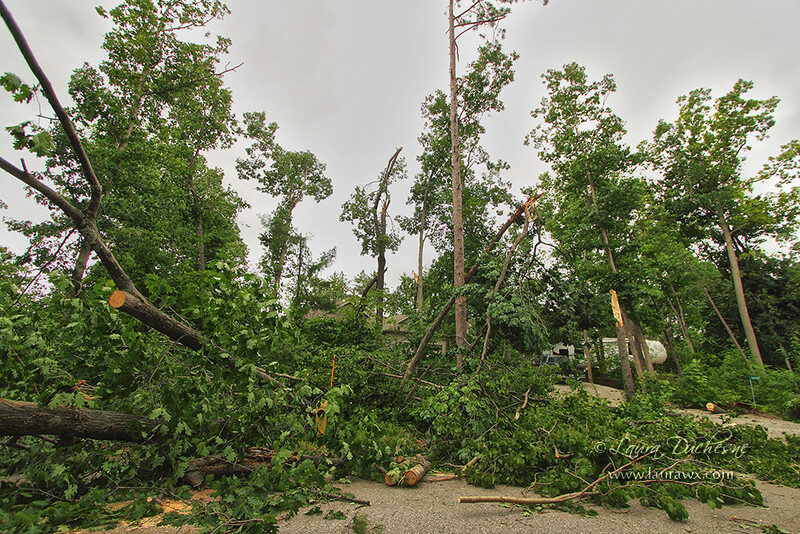 Coming ashore off Lake Huron, this powerful EF1 tornado devastated Pinery Provincial Park and Grand Bend, causing extensive damage and one serious injury. Between 6:00pm and 7:00pm, a number of thunderstorms moving eastward across Lake Huron consolidated into a single cell. 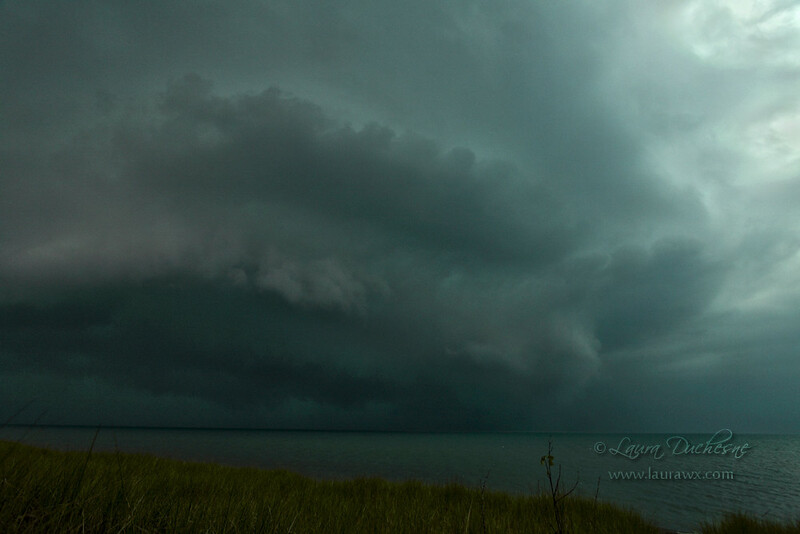 Initially the storm had the radar presentation of a bow segment, however just as it approached the shoreline, an inflow notch developed on its leading edge as it quickly wrapped up into a powerful high-precipitation supercell with a strong mesocyclone. The rain-wrapped tornado formed over the lake and came ashore a few kilometres south of town, toppling power poles and uprooting and snapping trees which caused extensive damage to homes and vehicles as they fell. One serious injury occurred at Pinery Provincial Park when a visitor was struck by a falling tree. The tornado was on the ground for 5 kilometres and was up to 500 metres wide. 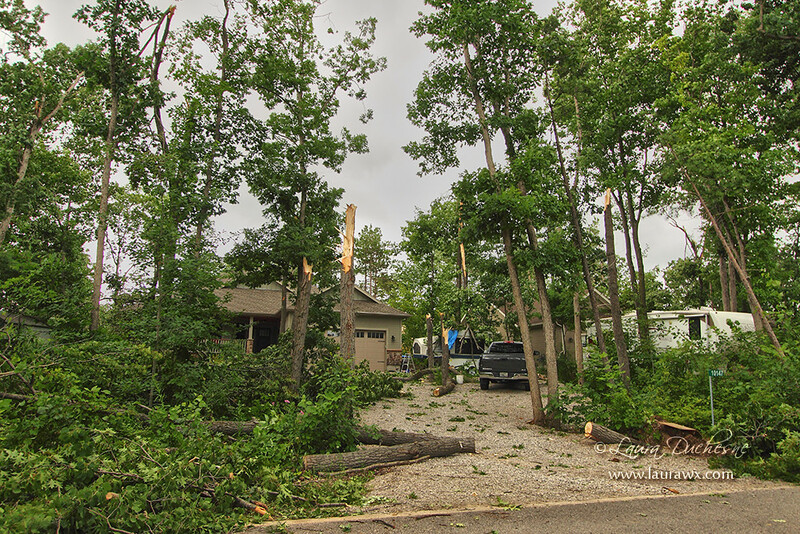 Storm chaser and Canwarn spotter Laura Duchesne was camping at Pinery Provincial Park when the storm and tornado struck. She captured stunning photographs as the storm morphed into a tornadic supercell over the lake while approaching the shoreline. 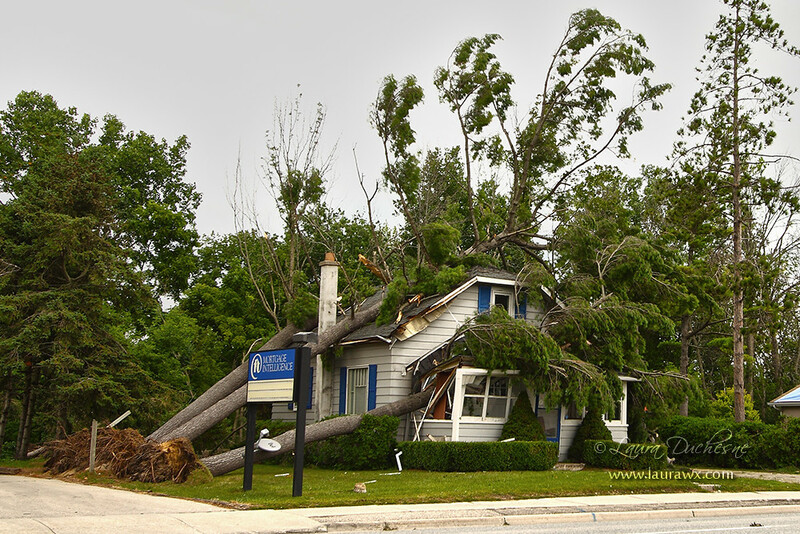 Thankfully she was not injured in the event, and the next day she shot a series of photos that documented the damage in and around Grand Bend.